A little peak at the custom quilt I am currently working on. I am SO pleased with how it is coming along. The client and I most definitely have the same aesthetic and it's been a real treat to see what has emerged from our discussions. I'm sending it off for some dense longarm quilting which is also pretty exciting (especially as I won't have to baste it myself - hooray!) and will show the completed quilt once it has come back and is bound. 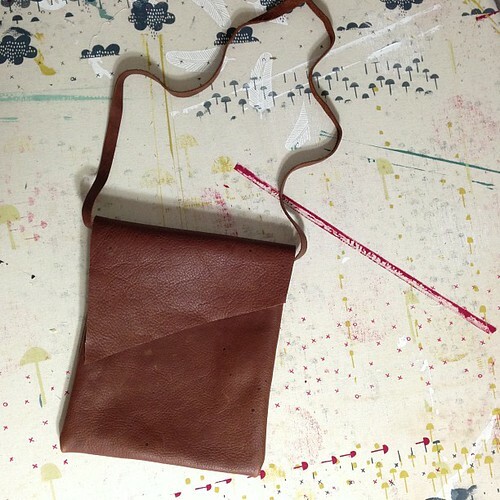 I scored a couple of bonus hours yesterday as Sophie had one of her very-rare-these-days naps and so I whipped up this little leather bag to hold my phone for handy photo taking access. I usually have my big bag or backpack when we are out and about to hold the many water bottles, snack containers and other assorted kid rubble and when I don't have pockets, it is a pain to dig my phone out. Solution made - I'll give it a test run at the zoo on Friday! Awesome on both counts... you're so very talented! 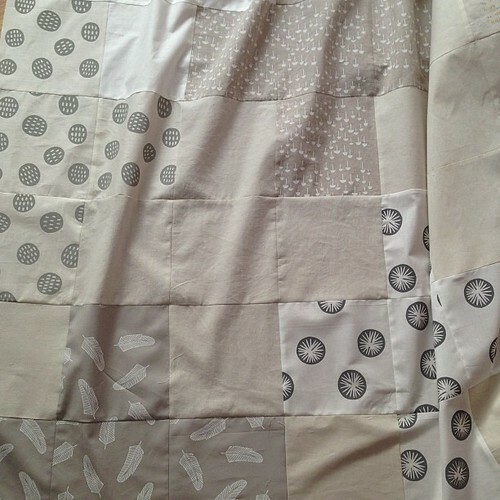 Looking forward to seeing the finished quilt, and nice work on outsourcing the quilting! Great minds think alike! I made a quilt very similar to this (with the crosses and such) last year! I never blogged it so can't link to it to show you. Love it with your prints!